Last night Jon and I met up on the dark wintery streets of Brighton, the quiet calm of a Wednesday night feeling so completely different from the morning rush hour and the hustle and bustle of Saturdays, and all cozy and romantic under the sparkling Christmas lights that were turned on last week. We couldn’t decide what to do for dinner, so fell back on our old favorite dim sum place in the south lanes. 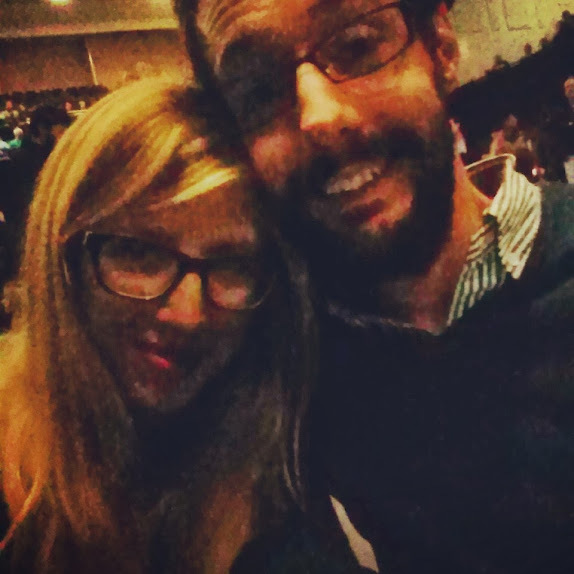 After some bo ssam and pork belly, a few dumplings and a bottle of wine, we were ready to make our way to the night’s main event-Sigur Rós at the Brighton Centre! My love for music, live music, shows, is fairly well-documented. But this is one area where Jon and I differ, and he, while being a music lover, is not a music fanatic and could really take or leave going to most events. But this! He was so excited for this, and the fact that it was such a big deal for my sweet love really sealed the deal for me. 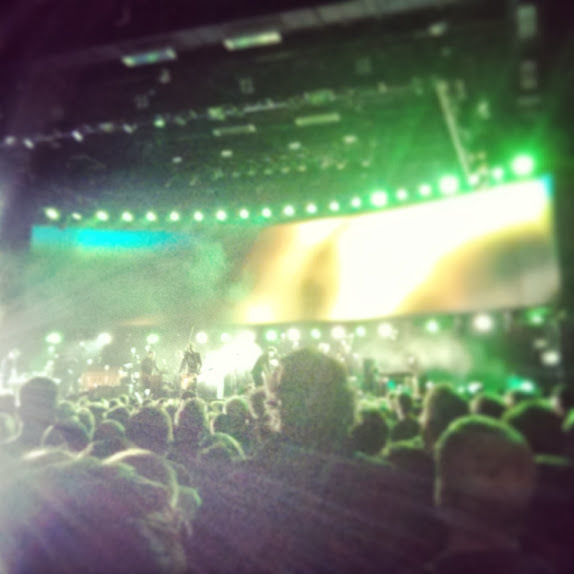 Sigur Rós is weird and atmospheric, ethereal and artsy, and it was a fairly enchanting experience, with full-on sensory stuff going down. I still can’t get used to how chill and um….boring….English people are at concerts, but we were kept doubly amused by a guy completely breaking the mold and freaking OUT from what seemed like pure unadulterated joy at seeing the band he loved, live. And that’s what it’s all about, isn’t it? After the show we were forced back into the cold and trekked back up through town to the train station, sitting in a mostly empty carriage on the way home, talking together, enjoying the last dregs of our school-night adventure. We took a cab home, lazy and willing to part with the £4.20 it takes to get home so close to midnight, eager to be reunited with the tiny ball of fur awaiting our return. We went to bed, strange icelandic music still swirling in our heads. It was a good day, a good night too. your writings bring a tear to a fathers eye. enjoy your life to the fullest. i am proud of you. je t’aime.